Zipcar is an innovative car-sharing program that provides the convenience of having a car on campus without the commitment or expense of car ownership. Zipcar members, 18 years and older, may rent a vehicle for an hour, a whole day, or longer for a small fee that includes fuel, insurance, and maintenance. 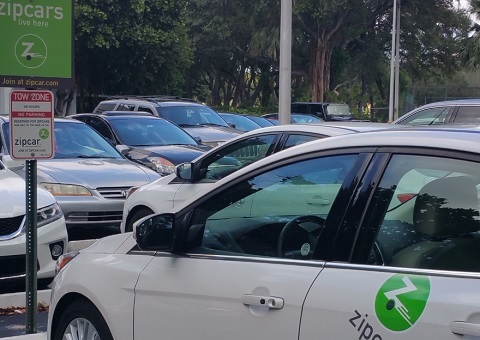 Zipcar vehicles, including a hybrid car, are located in the Hecht, University Village, Mahoney-Pearson, and Easton Residential college parking lot on the Coral Gables campus. Through this Zipcar link, access more information about the program and registration.